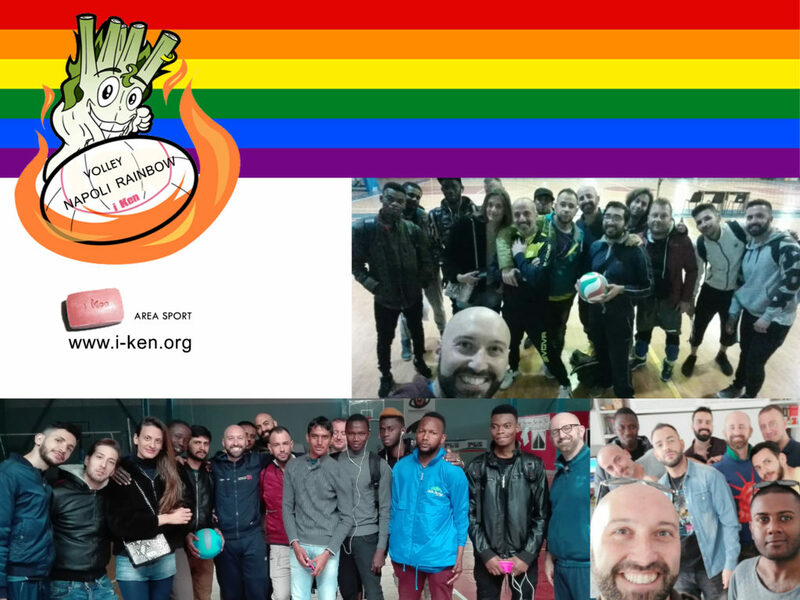 Volley Napoli Rainbow | Eng – i Ken | Associazione di Promozione Sociale O.N.L.U.S. Volley Naples Rainbow is a socialization activity that through amateur sports aims at the knowledge and socialization of homosexual people but that is addressed to all (homosexual and non-homosexual) and that represents a cultural and value exchange between people of different sexual orientation who through physical and cultural stimuli, they contribute to the solidarity development of society through the initiative “The sport washes away prejudice”. Social and active participation policies include practices of socialization and inclusion, the realization of which presupposes comparison procedures with the other that favor the acceptance of oneself, others and their differences. The sport-social activity can be of great help to wash away the prejudice and to make the various social actors to whom it is destined perceive, the limit of the auto social exclusion deriving from the discomfort of being homosexual both in native and migrant people LGBT and which is opposed to the beneficial effects of being components and promoters – with the same rights and duties – of a solidarity-based social community rich in “differences”, with its codes, its languages, its rituals, its history. It should be realized that a community is not divisible into different targets, but is to be considered in its entirety, and that the specific project missions are fully achievable only within a general approach to regional issues. Promote recreational and sports recreational activities and events in the homosexual circuits of Naples aimed at socializing and fighting social and emotional isolation. Enhancing new public spaces through collective use and physical activity in naturalistic contexts that enhance the healthy relationship between citizen-environment and citizen-public space. Do we like playing volleyball and you? 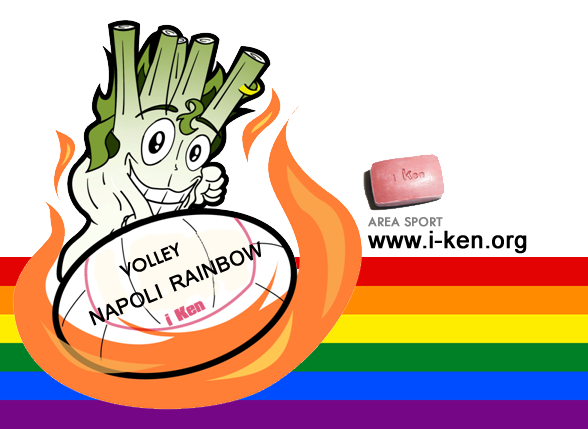 We founded a vollyeball amateur team, would you like to join our Volley Napoli Rainbow team?